A beautiful and timeless new edition of the ultimate festive food book, from the most loved and respected British cookery writer of the 20th century. Elizabeth David's Christmas is a celebration of every traditional recipe and favourite indulgence that we savour during the festive season. 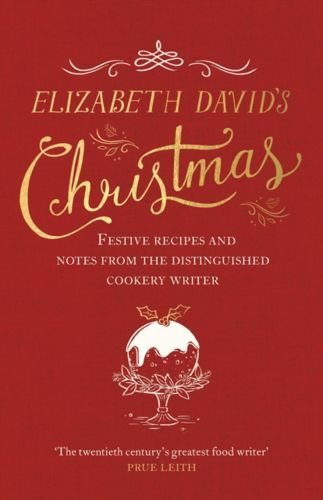 Containing over 150 classic recipes, together with a selection of wonderful articles, notes and observations from the Elizabeth David archive, this timeless book will inspire an elegant and memorable Christmas while taking the strain out of cooking for a crowd. All the classics are here: mince pies, stuffings, sauces and, of course, the perfect turkey, as well as simple first courses, party dishes and a range of desserts that make Elizabeth David's Christmas irresistible seasonal fare and a unique festive resource to treasure, hand down and return to year after year.